Homewood Ravensview, part of Homewood Health, will begin providing inpatient treatment for mental health, addiction and concurrent conditions on May 22, 2019. VICTORIA, March 14, 2019 - Homewood Ravensview, part of Homewood Health, will begin providing inpatient treatment for mental health, addiction and concurrent conditions on May 22, 2019. "When we open the doors in May," said Homewood Health president and CEO Jagoda Pike, "Homewood Ravensview will immediately become the most comprehensive private mental health and addiction treatment centre in Western Canada. We've recruited an experienced and highly credentialed team to oversee treatment programs based on 135-years of Homewood excellence combined with the latest in evidence-based innovation." Dr. Lyn MacBeath, the founding medical director at Homewood Ravensview, said, "Our programs are truly unique in Canada. Our Guardians program for first responders and members of the military – both active duty and veterans – is designed specifically for the challenges these real-life heroes face. Then we have our Cornerstone program for adults and the My Path program for young adults, each delivering evidence-based treatment with the latest innovations in care. We're also proud to launch the Vanguard program to meet the specific needs of executives and professionals." "The diversity and quality of the treatment we provide means everything to us," Pike added, "and we also know that the work we'll do at Ravensview to help people living with addiction and mental health conditions connects to so many other important issues." She expressed particular pride for the strong partnership Homewood Health has with the Pauquachin First Nation. Homewood Health is the Canadian leader in mental health and addiction services. With more than 135 years of experience, Homewood achieves outstanding outcomes through its national network of more than 4,500 employees and clinical experts. Homewood's complete suite of services includes organizational wellness, employee and family assistance programs, assessments, outpatient and inpatient treatment, recovery management, return to work and family support services, all customized to meet the needs of individuals and organizations. Homewood Health is redefining mental health and addiction services to help Canadians live healthier, more productive and more fulfilling lives. Homewood Ravensview, part of Homewood Health, offers treatment for mental health, addiction and concurrent conditions. The centre is located on 28-acres of forested hillside on Vancouver Island's Saanich Peninsula and focuses on creating individualized client experiences. Homewood Ravensview features forest and ocean views from private and semi-private bedrooms, suites and welcoming common areas. 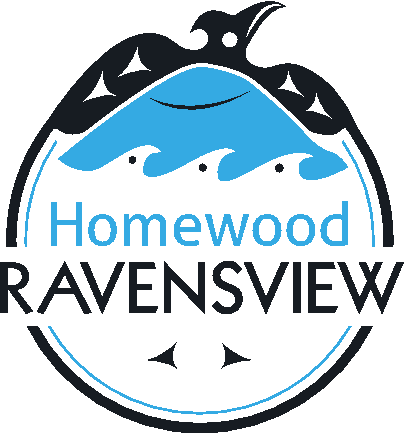 Homewood Ravensview is scheduled to open May 22, 2019 with 75 beds and will employ more than 80 full-time staff. Montreal, QC, April 16, 2018 – Homewood Health is pleased to introduce Homewood du Plateau, a world-class, bilingual inpatient mental health and addictions treatment facility in Montreal. Known formerly as 360°dtx, Homewood Health acquired 50% of the organization in 2014 and fully acquired the facility late in 2017. With Homewood’s backing and over 130 years of clinical experience, it has now become a full-service, bilingual, inpatient treatment centre serving individuals with mental health challenges and substance abuse disorders. Homewood Health is Canada's leader in mental health, addiction and trauma treatment. With over 130 years of experience, we achieve outstanding outcomes every day through our national network of over 4,500 local employees and clinical experts at The Homewood Clinics, The Residence by Homewood, Homewood du Plateau, and through the Homewood Health Centre in Guelph, ON – Canada's largest and leading facility for medical treatment of mental health, trauma and addiction disorders. We support individuals and their families, employers and organizations, insurers, and medical professionals with a full suite of outcome-focused services for prevention, assessment, treatment, return-to-work, and ongoing recovery management.